The highly awaited month of July, it's going to be so busy, we're having 37 people in the house finally arrived!! Actually, team member starting coming during the last couple of days of June. 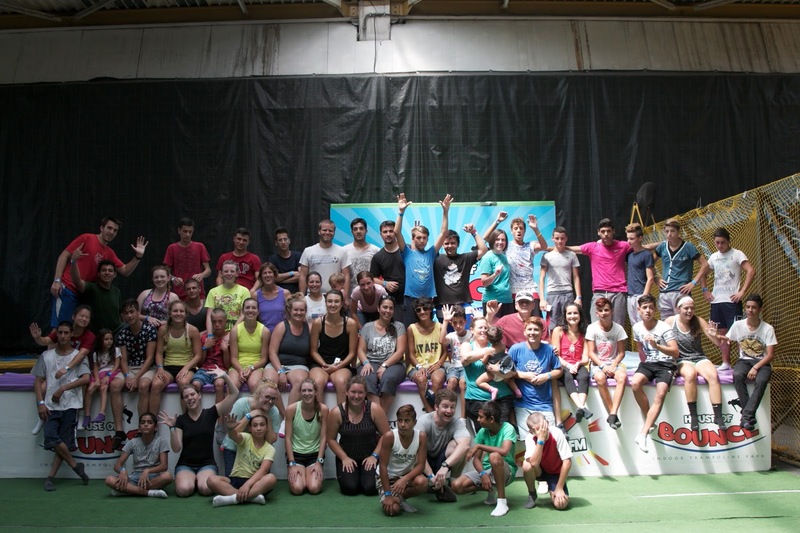 The teams started with a day camp with the Voluntari kids and we kept adding people until we reached 37 on July 4th! Prayer circle....praying for ministry in three different locations! The most exciting part of having 37 people here was that my mom came and helped me do all the cooking!! I really could not have done it all without her help. 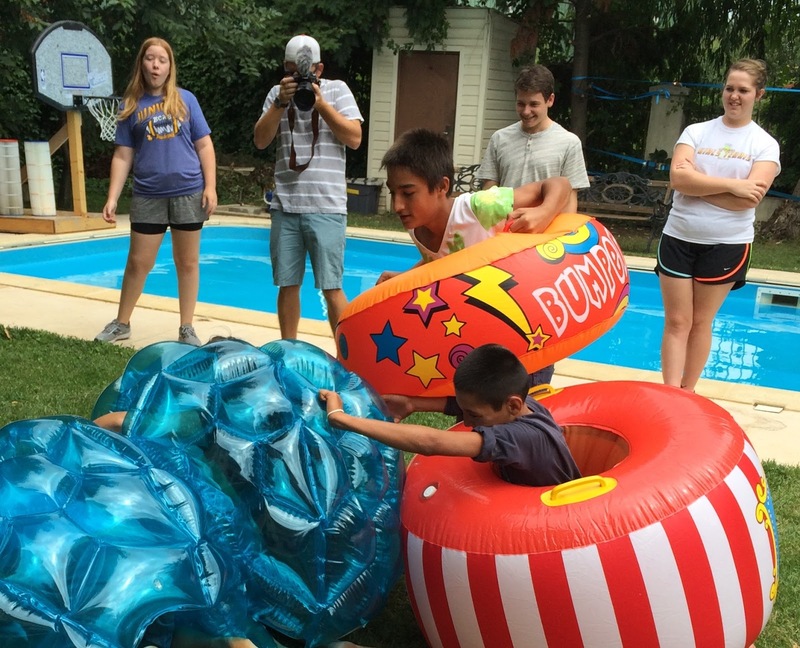 During the first two weeks of July, we had ministry in three different locations: our house (Pipera), the boy's house (Nenciulesti) and a group that went out to the orphanage everyday! We used a circus theme and taught the kids lessons based on 1 Corinthians 13:13 "And now these three remain: faith, hope and love. But the greatest of these is love." As I worked in the kitchen I heard this verse repeated over and over throughout the summer. I pray that these words remain with the kids and that they will always know they have a loving Savior that they can put their faith and hope in for an eternity! 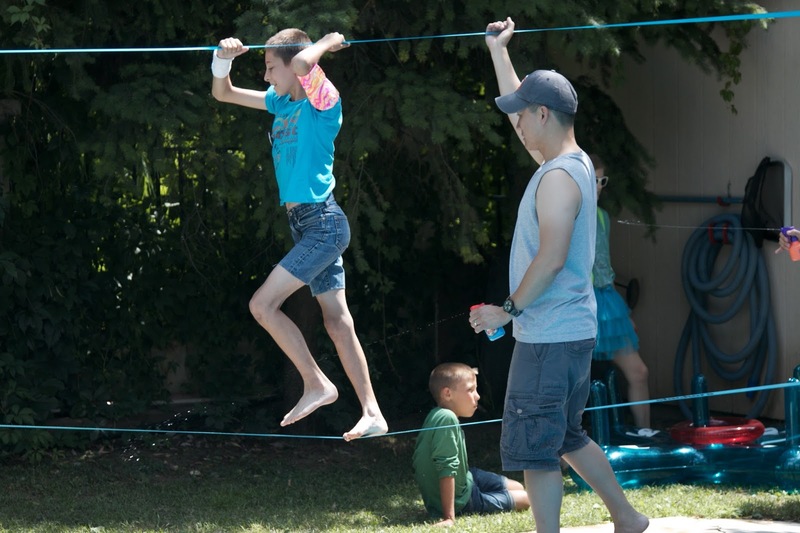 To go along with our pool, we added a slack line and a trampoline...the kids had so much fun!! The second two weeks of July was a "smaller" team...only about 20 people!! During this team, we had our teen camps. We decided to have a girls camp and a boys camp this year and they got to come for three days. We took both groups to a place called "The House of Bounce"...a huge trampoline park. 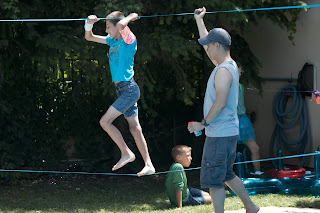 These groups also had a circus theme and a little bit more in depth sessions centered around 1 Corinthians 13:13.